His desire was for an America as it was before Gone With the Wind. We are told not to speak badly of the dead, but the torrent of praise for Justice Scalia requires us to be more discerning. We are told we should admire Justice Ruth Bader Ginsberg’s graciousness as shown in the kind words she gave us about Justice Scalia’s contributions and his death. I do not have any numbers that can show how many lives Justice Scalia’s decisions tormented or broke. I do not know how many prisoners were put in jail and tortured because of his views of the cruel and unusual clause of the Eight Amendment of the Constitution. I do not know how many deserving children were kept out of schools or how many men and women were kept out of jobs or how many hundreds of thousands of people throughout this nation were denied the right to vote because of his often passionate views. Fortunately, the law constrained him from doing his worst. If he had his way, Brown v. Board of Education, striking down segregation in the public schools because of the 14th Amendment, might have been otherwise decided. He also believed that our landmark First Amendment decision, Times v. Sullivan, a 9-0 opinion that protected journalists by putting limits on libel suits, may have been wrongfully decided. In deciding we are bound by a dead constitution, rather than one that lives and breathes over time, Justice Scalia was adopting, as much as he could, the politics and values of times long since gone. 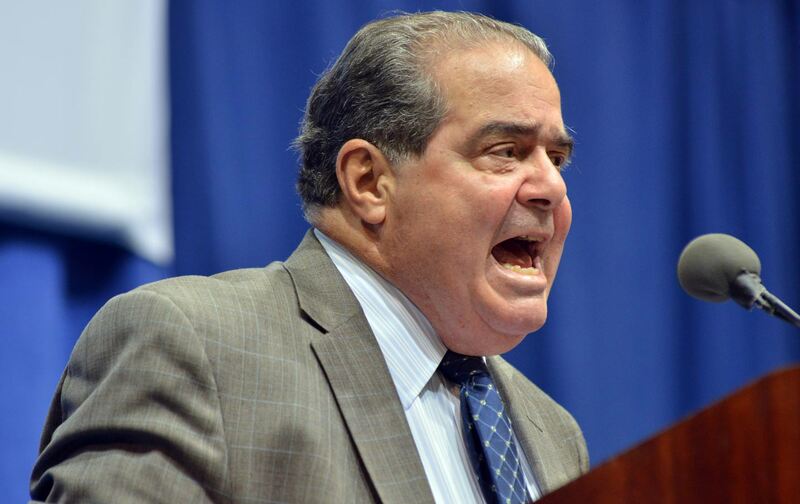 Scalia was not a nut any more than the Bible scholar who believes every word of the Bible. But Scalia had his own political agenda. His desire was for an America that very much existed before Gone With the Wind. I do not know the future. I do not fully comprehend the past or the present. But I believe, hope and pray, that Justice Scalia’s absence from the Court will make the lives of Americans much better. Martin GarbusMartin Garbus, a trial lawyer who represented Cesar Chavez, Dan Ellsberg, and Nelson Mandela, is the author of the forthcoming North of Havana.